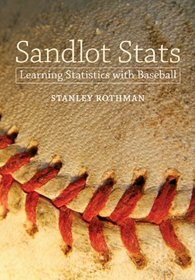 My guest-blogger Emily Su is a student in my Baseball and Statistics class. On March 6th, my boyfriend Kevin, a life-long Yankee fan, and I traveled to sunny Tampa, Florida to see something only true baseball fans will go out of their way to see, MLB Spring Training. We were there to see the Yankees play at Steinbrenner Field. Kevin had gone to Spring Training several years ago in hopes of seeing his idol, Mr. Derek Jeter. As an amateur spring training-goer, he didn’t realize he had bought tickets for a split-schedule game. Meaning, Mr. Jeter was playing at an away game. This time we were a little smarter. We had talked about going to see some Spring Training games during our spring break but we hesitated planning it because our spring break fell on different weeks. But once Jeter announced his retirement, we knew we had to go. Unfortunately, everyone else had the same idea. Usually Spring Training tickets aren’t more than $30 for the best seats. This time around, each game was sold out and we were forced to buy $115 tickets from StubHub. How outrageous! Oh well, what is going to stop a Yankee fan from seeing his idol? Nothing! So we packed up our bags and balls and headed to see a game against the Detroit Tigers on March 7th, and a game against the Tampa Bay Rays on March 9th. Our biggest goal was to get player autographs as they practiced before the game. Spring Training provides fans their best chance of getting autographs. At Steinbrenner Field, it was either a hit or miss. The players would either warm up on the practice field that fans had access to, or warm up on the main playing field. If we waited out by one of the fields what if Jeter, Beltran, and Ellsbury were warming up on the other field? We decided on the practice field and arrived there 3 hours before the game started. You heard me… 3 hours! We were there along with other die-hard fans with our arms all jammed through the holes in the fence especially for autograph signing. We stood out in the chilly Tampa night for 2 hours before any players even came out. Ichiro Suzuki comes running out first, followed by some backup players. I ended up with the autograph of backup catcher Austin Romine. We were disappointed that none of the big name players came out. The fans around me were chatting about how all they wanted was Mark Teixeira’s autograph and how he rarely ever signs. A woman, who went to Yankees Spring Training for 10 years in a row, commented she had everyone’s autographs, but not Teixeira’s. At that point, I was satisfied with Austin Romine’s autograph. Walking to the gates, we saw someone practicing hitting off a tee as hitting coach Kevin Long watched. It was Mark Teixeira! . After he hit, he came to the side of the fence and signed autographs for more than 20 people. He was very nice and down to earth. I felt so lucky to get an autograph from someone who is known to not sign often. It really was pure luck and being at the right place at the right time. Once we got into the game, we watched Derek Jeter warm up. It was very neat to see Derek Jeter play side-by-side with Miguel Cabrera, who we consider the best player in present baseball right now. The Yankees won the game on a walk-off balk! The next game against the Rays was packed. Since Steinbrenner Field is located in Tampa, the whole game was sold out with half the fans being Rays fans and the other half Yankees fans. This time we were prepared with several clean balls to sign, fresh ball-point pens, and plastic bags to preserve the signed balls. After they warmed up, some of the team signed stuff, but not Mr. Jeter. I got the autographs of relief pitchers Shawn Kelly and Adam Warren. The game ended tied in the 10th inning. There is not a bad seat in Steinbrenner Field which is just as beautiful as Yankee Stadium. I will definitely be returning to Tampa next year for Spring Training.